US Federal Properties (USFP) was awarded the 53,100 square-foot build-to-suit office building for the Department of Homeland Security (DHS). 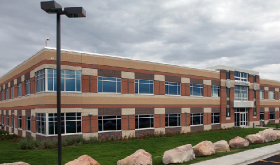 Located near Denver in Centennial, Colo., a groundbreaking for the two-story suburban building took place during the fall of 2007. USFP completed the building in June 2009. USFP was able to incorporate quality interior materials that extend the useful life of the high-traffic building and reduce maintenance. 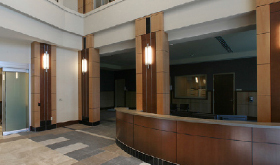 The lobby contains polished granite floors with textured walls that complement the overall design. While paying close attention to detail, USFP used only quality materials to achieve a Class A building inside and out.